The Western Australian (WA) pastoral rangelands have highly variable landscapes, soils, vegetation, rainfall and seasonality. The 3 primary drivers of change across all WA rangelands are seasonal quality, grazing pressure and fire. Rangelands in WA cover an extensive area of land with native herbaceous or shrubby vegetation which is grazed by livestock, and native and introduced herbivores. The rangelands are highly varied and are contained wholly or partly within 20 IBRA (Interim Biogeographic Regionalisation for Australia) bioregions. These rangelands occur in climates ranging from tropical to arid temperate; with topography including coastal plains, rocky ranges and semi-arid desert; and rainfall amount and distribution ranging from summer-dominant with 1200mm annually to winter-dominant and less than 250mm. The combination of climate, topography and soils renders them unsuitable for broadacre farming and so agriculture is typically limited to pastoralism (Harrington et al. 1984). The rangelands cover about 2.2 million square kilometres (87% of WA, which is all but the south-west agricultural region), and pastoral stations for grazing livestock cover 40% (857 833km2) of that, based on active leases as at June 2016. The rest of the rangelands consist of land vested for conservation, Indigenous purposes and unallocated Crown land. The Northern Rangelands, which contains the Kimberley (206 775km2) and the Pilbara (147 940km2) regions. This is characterised by grasslands. The Southern Rangelands, which is mostly south of the Pilbara region and between the south-west agricultural region and the arid interior. It contains the Gascoyne (138 650km2), Murchison (128 620km2) and the Goldfields–Nullarbor (235 850km2) regions. This is characterised by shrublands. Grasslands, which are predominantly perennial tussock (bunch) and hummock grasses, with or without some tree cover. They occur mainly in the Northern Rangelands. Shrublands, which are vegetation types characterised by shrubs with a variable acacia or eucalypt overstorey. They occur mainly in the Southern Rangelands. 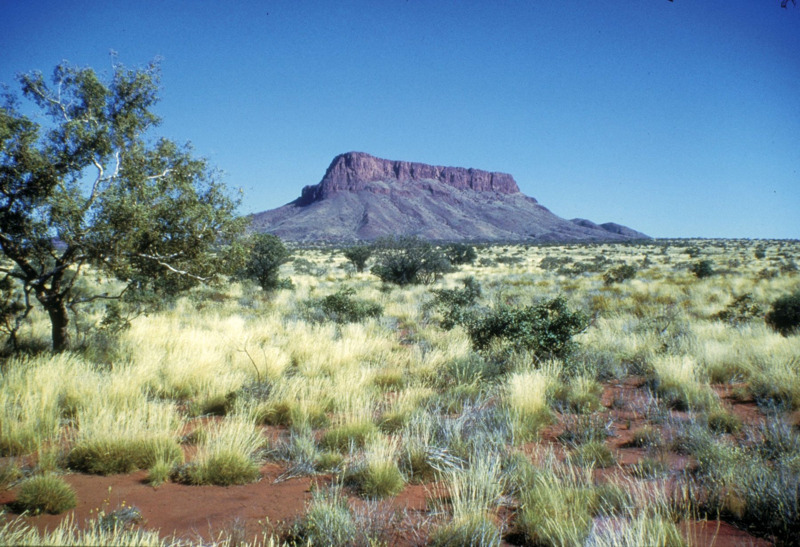 Grasslands and shrublands are present in the southern Pilbara and Gascoyne. Perennial vegetation in the Southern Rangelands is adapted to characteristically low and highly variable rainfall, and pasture productivity is low relative to that in the Northern Rangelands. Because of these conditions, management of grazing pressure in the southern rangelands is particularly difficult, and has resulted in extensive areas of poor rangeland condition. The pastoral industries in the Kimberley and Pilbara are similar; having a high proportion of tropically adapted breeding cattle. Pastoralists in the Kimberley sell most cattle for live export, and pastoralists in the Pilbara sell for live export and domestic markets. The Gascoyne, Murchison, Goldfields and Nullarbor were major wool-producing areas as recently as the early 1990s. However, the number of sheep, especially Merino sheep, has greatly declined since then. Merinos have been replaced to some extent by meat sheep on stations in the western Gascoyne and Murchison, but the most significant change has been a move from sheep to cattle across the Southern Rangelands. Rangeland sheep production now comprises less than 3% of the total value of the WA sheep production. The Southern Rangelands goat population was estimated in 2016 to be between 150 000 and 250 000, although goats are less common in the Goldfields and eastern Murchison. Pastoralists in some Southern Rangelands areas have reported in 2017 that there is an increase in the goat population. There has been a de facto managed goat industry and an industry based on the sale of unmanaged (feral) goats. Opportunistic harvesting of goats has provided significant and timely income for many leaseholders, with some leaseholders partly managing feral goat flocks rather than simply harvesting. Although published more than 20 years ago, we recommend that you read Reading the rangeland: a guide to the arid shrublands of Western Australia for a broad coverage of the region. Climate, particularly the amount, intensity and seasonal distribution of rainfall, is a major determinant of rangeland productivity. Dealing with rainfall variability is a major component of rangeland management (Figure 2). The wet summer season (November to April) is hot and humid, with seasonal rainfall up to 1200mm in the north (Figure 3). Typically, 90% of annual rainfall occurs during this period, when low pressure systems and unstable air dominate. The dry winter season (May to October) is influenced by high pressure systems and a predominantly south-easterly airflow from the interior. This rainfall pattern leads to tropical savanna vegetation in the north and arid desert grassland in southern parts. Although more productive than the Southern Rangelands, seasonal variability means that matching forage demand (stocking rate) with supply (available forage) over a run of seasons is difficult. The Pilbara has a similar summer and winter seasonal pattern to the Kimberley, with generally lower annual rainfall (300–500mm) and more frequent poor wet seasons. The southern Pilbara occurs roughly on the boundary between the summer-dominant and winter-dominant/seasonally uniform rainfall zones. The Southern Rangelands have predominantly winter rainfall, with an average annual rainfall generally below 300mm (Figure 4). Rainfall is highly variable within and between years, and variation is high compared to similar areas elsewhere in Australia. This arid climate, with frequent dry years interspersed with occasional high rainfall events, makes it particularly difficult to match forage demand (stocking rate) with supply (available forage). Summer rainfall is usually low throughout the region, although the proportion of annual rainfall occurring in the summer months has increased over recent decades. Substantial variation in rainfall also occurs in cycles that vary from 2.5 to 30 years or more. High seasonal variability in the rangelands masks climate change to some extent. Climate records indicate a drying trend for much of WA, except for the Kimberley, and modelling suggests a continued warming trend over the coming decades (see Climate change and the pastoral industry, and the Indian Ocean Climate Initiative 2012). Rainfall in northern Australia, including the Kimberley, is likely to be heavier, with more rain falling per rain day. As a result, flash floods may become more common. There are likely to be more dry days (time between rains), which may cause water supply problems. In north-western Australia, the wet season is becoming wetter and, since the 1950s, annual rainfall has increased by more than 30mm per decade and exceeding 50mm per decade over parts of the north-west coast (Figure 5). This increase in annual rainfall has generally been associated with an increase in summer rainfall (Figure 6) and a slight decrease in winter rainfall (Figure 7). In the decade 2005–14, all LCDs in the Southern Rangelands had more years with above-average summer rainfall (6 to 9 years out of 10) than the long-term above-average rainfall in a 10-year period (3 to 4 years out of 10). In the period 2005–14, there were significant changes in the average monthly rainfall compared to the long-term monthly rainfall (Table 1). Land tenure in the rangelands is predominantly pastoral leasehold, with leases issued under the Land Administration Act 1997. The statutory authority for managing the pastoral estate rests with the Department of Planning, Lands and Heritage and the Pastoral Lands Board of Western Australia (PLB). DPIRD provides technical assistance to the PLB to support their activities. The Land Administration Act states that the function of the PLB is to ensure that pastoral leases are managed on an ecologically sustainable basis. Leases are developed and assigned to enable them to be worked as an economically viable and ecologically sustainable pastoral business unit. In addition, under the Soil and Land Conservation Act 1945, the Commissioner of Soil and Land Conservation (the Commissioner) has the duty and powers to prevent activities that could lead to land degradation and, if warranted, the power to instruct lessees to ameliorate or repair degraded land. A pastoral lease is a title issued by the Minister for Lands for the lease of an area of Crown land for the limited purpose of grazing of livestock (cattle, sheep, goats and horses) and ancillary activities. Under the Land Administration Act and the Soil and Land Conservation Act, pastoral lessees are obliged to manage the vegetation and soil resources on their lease to avoid soil and land degradation and, under the Biosecurity and Agricultural Management Act 2007, to control declared plant and animal pests. A permit from the PLB is required for any non-pastoral use carried out on a pastoral lease. A permit may be granted if the property as a whole continues to be managed for pastoral purposes. Mining leases may be issued concurrent to pastoral leases and mining operations can occur on pastoral land. In 2016, there were 491 registered pastoral leases in WA, held in 436 pastoral stations: 152 stations in the Northern Rangelands (92 in the Kimberley and 60 in the Pilbara); and 284 stations in the Southern Rangelands. Lease ownership includes large corporations, private companies, family operations, Indigenous organisations, and, particularly in the Pilbara and Goldfields, mining companies (Figures 8 and 9). Detailed GIS maps can be downloaded from the links below. The links will switch you to a new page. Reporting for legislative purposes is at LCD scale. Pastoral LCDs, as with all LCDs, are appointed under legislation, constituted under section 22(1) of the Soil and Land Conservation Act and comprise pastoral leasehold land, defined conservation areas (which may have formed part of the pastoral estate prior to their declaration as conservation areas) and unallocated Crown land. Land conservation district committees (LCDCs) are community-based groups focused on sustainable resource management and their role is to promote on-ground involvement in voluntary land management and conservation activities. Many LCDCs also manage externally-funded projects aimed at preventing land degradation and promoting soil and land conservation and reclamation. In WA, the Commissioner resides within DPIRD and provides administrative services for the LCDCs, including a state officer (a nominee of the Commissioner), insurance, information and administrative funds. Note that not all LCDs have active committees. There are 27 LCDs in the WA rangelands (Figures 10 and 11). 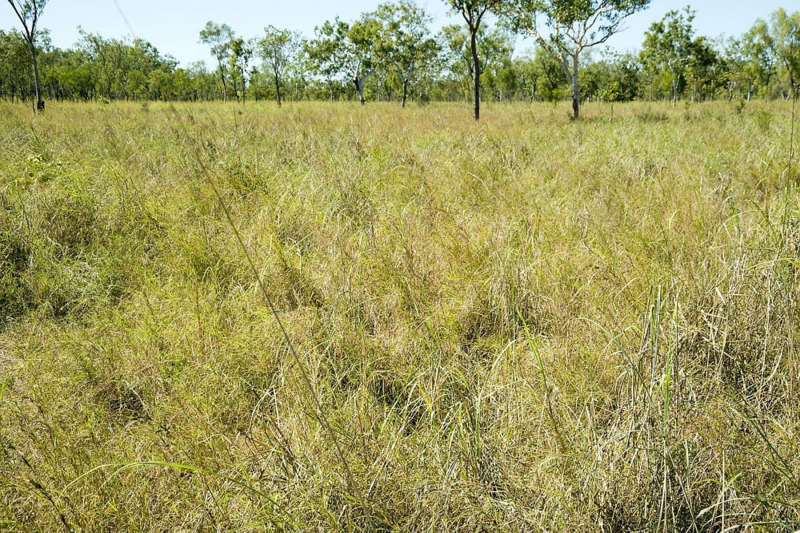 There are 8 LCDs in the Northern Rangelands: the Kimberley LCDs are Broome, Derby – West Kimberley, Halls Creek – East Kimberley and North Kimberley; the Pilbara LCDs are Ashburton, De Grey, East Pilbara and Roebourne – Port Hedland. The Southern Rangelands has 19 LCDs which have been subdivided based on rainfall distribution. 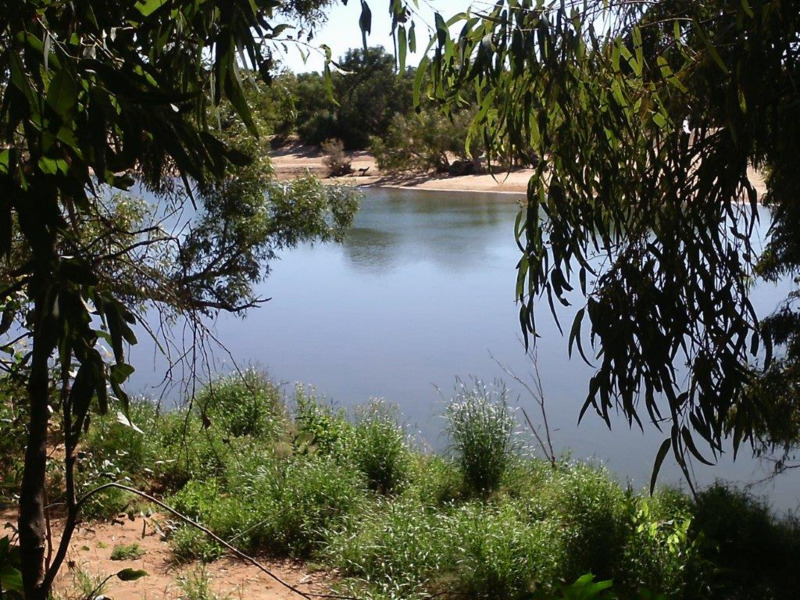 The Gascoyne – Ashburton Headwaters, Upper Gascoyne and Wiluna LCDs are classed as ‘Southern Rangelands (SR) summer’ because they receive a substantial proportion of their annual rainfall in summer. The rest of the LCDs are classed as ‘SR winter’. The goal of sustainable pastoralism is the continued use of rangeland natural resources for livestock production without causing a loss of land capability. To monitor achievement of this goal, we need to know the starting condition (baseline), changes over time of the natural resources used in pastoralism, and the sustainable carrying capacity for livestock. Rangeland surveys provide the baseline data for pastoral resource condition and estimates of pastoral value. This baseline data is used to determine rangeland vegetation in ‘good condition’ for different land systems. Rangeland surveys provide information about the amount of vegetation available for grazing on these good condition land systems, and this is used to estimate the Potential Carrying Capacity (Potential CC) for the land systems, LCDs and rangeland regions. See the rangelands glossary for explanations of these terms. Fourteen condition and inventory surveys have been completed and surveys now cover about 87% of the state’s pastoral rangeland. Beard’s vegetation mapping (Beard 1975) is used to provide information for those areas not surveyed (the southern Goldfields and areas east of Wiluna). Pastoral business viability relies on being able to turn-off a sufficient number of livestock to meet market requirements. DPIRD estimates the carrying capacity of leases from rangeland vegetation condition (good, fair, poor for each pasture type within a land system) and pastoral values (livestock units per unit area) of the land systems that make up the lease. Note: The LCD Present Carrying Capacity (Present CC) is calculated from the sum of pastoral station assessments of land systems and their condition. The last on-station assessments were in 2009 or earlier. Based on analysis of WARMS (Western Australian Rangeland Monitoring System) data, seasonal quality and remote sensing data (Normalised Difference Vegetation Index and cover), DPIRD has moderate to high confidence in using these Present CC estimates. The change from Potential CC to Present CC gives an indication of trend in resource capability for pastoralism. The Potential CC and the Present CC of all stations in an LCD are summed to provide an estimate of LCD-scale carrying capacity. In general, LCDs in the Northern Rangelands are composed of land systems with higher carrying capacities than those in the Southern Rangelands. Carrying capacities are expressed in cattle units (CU) and dry sheep equivalents (DSE); 1 CU equals 7 DSE (Table 2). Seasonal quality is the amount and distribution of rainfall and its interaction with vegetation to determine grazing values. Climatic variation within and between years is a major concern for management. Grazing pressure is the demand–supply ratio between forage needs of herbivores and the forage supply in a pasture at a specific time. The aim of management is to match grazing pressure to production and recovery of rangeland vegetation. Fire is a naturally occurring hazard, especially in the Northern Rangelands, with limited management options. Fire causes rapid changes to several of the themes and requires specific fire management for recovery. The status and trend of pastoral rangeland resources is based on the continued use of those resources for livestock production without causing a loss of land capability. For example, an increase in unpalatable perennial grasses may be interpreted as a decline in pastoral condition from a production perspective, whereas the greater soil cover and protection from erosion provided by the additional (unpalatable) perennial grasses might improve landscape function. The department uses the WARMS sites to assess perennial plant population change at the regional scale. WARMS comprises a set of fixed sites on representative areas of pastoral lands (including 60 sites on 27 former pastoral stations) and provides an indication of change at a regional or vegetation-type scale, not at the pastoral lease scale. 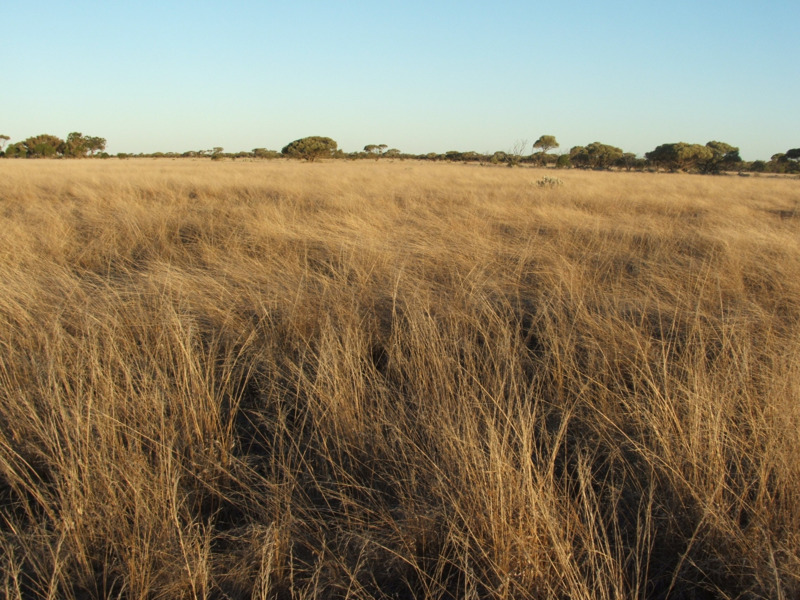 WARMS uses permanent ground-based sites on which perennial vegetation (shrubs and grasses of most value to pastoralism) and soil surface characteristics are assessed. There are 633 grassland sites mostly in the Northern Rangelands, and 989 shrubland sites, mostly in the Southern Rangelands (Figures 12 and 13). Grassland sites are assessed every 3 years and shrubland sites are assessed every 5 years. Information from these sites is aggregated to indicate changes in plant populations, which is generally expressed as increased, stable or decreased populations of desirable perennial plants. The latest assessment of condition and trends in the 5 themes mentioned above is in the Report card on sustainable natural resource use in the rangelands of Western Australia.